Anna Bolton | Greene County News Julie Deyo, daughter of Raymond and Linda Deyo, addresses the court during Kathy Smith’s sentencing hearing April 11 in Greene County Common Pleas Court. Kathy Smith cries alongside Defense Attorney Peter Certo after addressing the Deyo family in court, prior to sentencing. XENIA — A Xenia woman will spend seven years in prison for causing a crash that killed a Bowersville man in 2016. Judge Stephen Wolaver sentenced Kathy Smith, 65, April 11 in Greene County Common Pleas Court to concurrent terms of seven years for aggravated vehicular homicide, five years for aggravated vehicular assault and six months for operating a vehicle under the influence of alcohol (OVI) for her role in the two-car crash on Hussey Road Aug. 27, 2016 in Caesar Creek Township that killed Raymond Deyo, 68, and injured his wife Linda Deyo, 68. Wolaver also suspended Smith’s license for life. Wolaver explained that he took into consideration Raymond Deyo’s death and Linda Deyo’s injuries, as well as Smith’s age, frailty and background in the Xenia community. Twelve community members wrote letters to the judge out of concern for Smith. Certo asked for the minimum sentence, while assistant prosecutors David Morrison and Cheri Stout recommended the maximum. Records show Smith was convicted of an OVI in 2013. “Probably what the case presents to this court as much as anything is the significance of the defendant’s drinking and alcoholic background that essentially brought forth this tragedy,” Wolaver said. During the hearing, Raymond Deyo’s wife and daughter addressed the court. Smith also stood up to speak. “I want to tell Mrs. Deyo and the rest of her family how sorry I am that Mr. Deyo lost his life … I ask God every day why was it not me, instead of Mr. Deyo?” she said, crying. Smith sat down and put her head in her hands. During the trial, the prosecution argued that Smith’s Blood Alcohol Concentration (BAC) of .343 and her verbal admittance to having had wine — coupled by her car’s estimated speed, bad weather and unsafe tire tread — proved she was intoxicated and driving recklessly. The legal limit for driving in Ohio is .08. But the defense argued that Smith’s BAC test result was inaccurate and impossible — a “false positive” — and that there was no evidence of recklessness. After fewer than three hours of deliberation Jan. 31, a jury found Smith guilty on five charges. 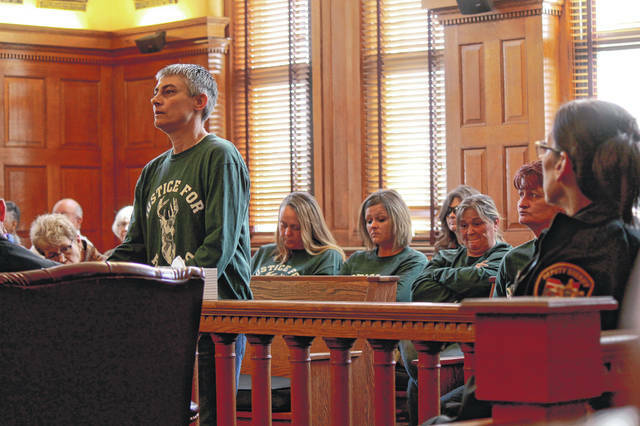 https://www.fairborndailyherald.com/wp-content/uploads/sites/50/2019/04/web1_JulieDeyo-2.jpgAnna Bolton | Greene County News Julie Deyo, daughter of Raymond and Linda Deyo, addresses the court during Kathy Smith’s sentencing hearing April 11 in Greene County Common Pleas Court. 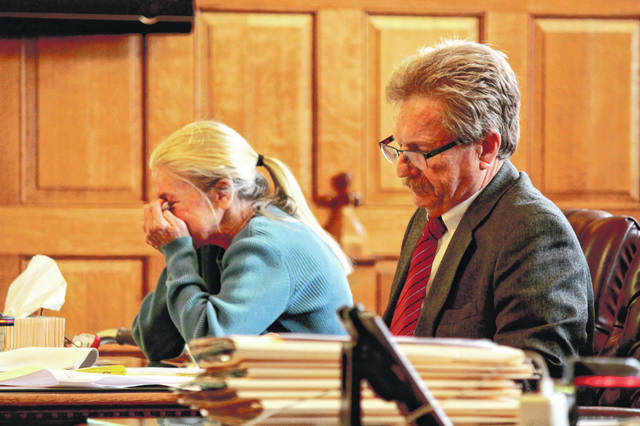 https://www.fairborndailyherald.com/wp-content/uploads/sites/50/2019/04/web1_KathySmith-2.jpgKathy Smith cries alongside Defense Attorney Peter Certo after addressing the Deyo family in court, prior to sentencing.